Gardman Peanuts For Wild Birds 12.75kg bag provides a necessary and welcomed food source for a large variety of bird species. 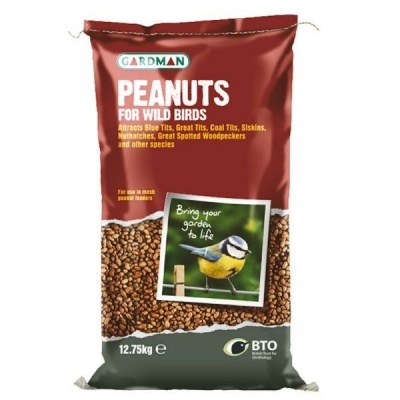 High protein, oil-rich shelled whole peanuts suitable for use in mesh peanut feeders. Supplied in an economical bulk 12.75 kilos storage bag.